The portals of Gangotri and Yamunotri shrines will reopen for pilgrims on 7 May 2019 on the auspicious occasion of Akshay Tritiya, it was announced on Saturday. Suresh Semwal, president of Gangotri temple committee said that the reopening ceremony will take place for two days, beginning May 6. �On May 6, the procession carrying goddess Ganga will proceed towards Gangotri temple at 12:35 pm from its winter abode in Mukhba village. The procession will take a night halt in Bhaironghati where jagran and bhandara will be organized. Afterwards, the procession will proceed to Gangotri where portals of the temple will be reopened with a traditional ceremony,� Semwal said. 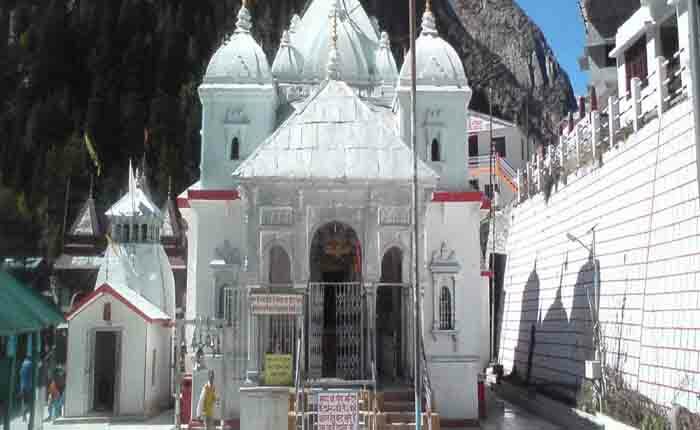 Semwal added that the temple committee is expecting a record number of footfalls of pilgrims this year during the Char Dham Yatra, in comparison to last year when more than 3.99 lakh pilgrims had arrived for the pilgrimage. Jagmohan Uniyal, vice-president of Yamunotri Mandir Samiti said the details regarding the timings of the Yamunotri shrine will be disclosed on April 14. �The portals of Yamunotri shrine will also reopen on May 7. However the timing and other details will be declared on April 14 on the occasion of Ram Navmi, Uniyal said. Meanwhile portals of Badrinath and Kedarnath shrines will open on May 10 and May 9 respectively. Adventure and nature lovers might have to wait till the first week of May before they can enter the Gaumukh-Tapovan region in Uttarkashi district, which is currently under a thick layer of snow. The trekking season in the area was supposed to start from April 1, posed to start from April 1, but after a field survey, officials of Gangotri National Park (under whose jurisdiction the area lies) decided to postpone the season as the route has glaciers on it and is at the risk of avalanches. Sources said that officials have planned to survey the route again around mid-April, after which they will take a decision on allowing tourists to enter it. This year, the local administration had decided to open the park 15 days early, on April 1 instead of April 15, on the demand of local trekking and mountaineering agencies. The district administration had sent a joint team of the forest department, State Disaster Response Force and local trekking agencies to inspect the route on April 4, but it was forced to return from Chirbasa due to heavy snow and the risk of avalanches. 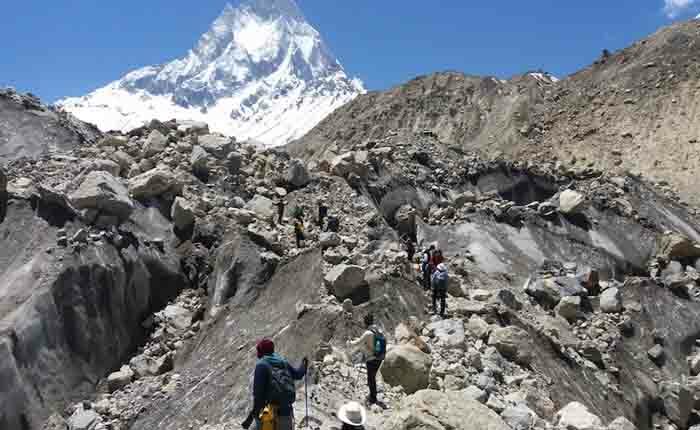 Secretary of the Trekking Association, Manoj Rawat, who was a part of the survey team, said, �We Found nearly half a dozen glaciers on the 8 km-long trek route from Gangotri to Chirbasa. The ones on the Devdhang and Bhangluvasa areas were most difficult to cross. Besides, due to soaring temperatures, there was a high risk of an avalanche in the region.� Rawat added that although the park might open for expert climbers by the end of April, pilgrims and tourists can only be allowed in the first week of May. With 195 bird species inhabiting its 300 acre land area, Dehradun-based Wildlife Institute of India (WII) has emerged as the research campus with the highest number of bird species in the country followed by the Forest Research Institute (FRI) campus, also in Dehradun, and the Indian Institute of Science Education and Research (IISER) at Tirupati in Andhra Pradesh. The volunteer � led survey was part of the worldwide Great Backyard Bird Count (GBBC) which was first started in 1998 by the Cornell Lab of Ornithology and National Audubon Society in the US. A sub-event, Campus Bird Count (CBC), was launched in 2013. In India, 173 campuses in 21 states/union territories were surveyed form February 15 to 18 this year and 535 bird species were identified. While 179 bird species were identified in the FRI campus, IISER in Andhra Pradesh boasted of 155 species, Kerala Agricultural University in Thrissur was home to 143 and SSN Institutions in Kancheepuram, Tamil Nadu had 125 species. 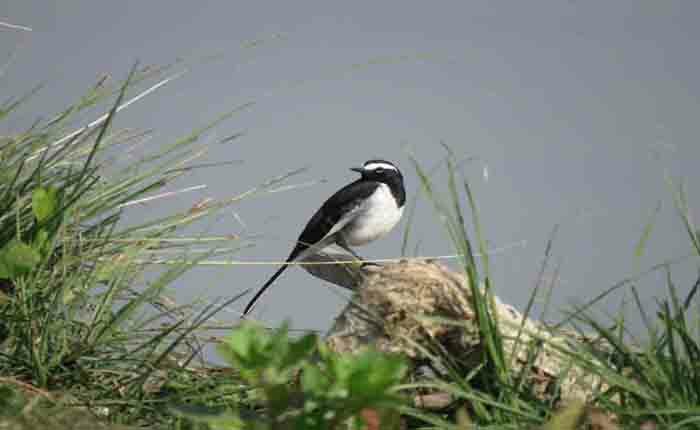 Experts said that the 300 acre Wildlife Institute of India campus was the top choice for several bird species as it provided them with different types of habitats such as Sal forest, a lake. Streams and open grassland. Some experts said that sightings of new species could indicate that several species were moving to new habitats as rapid urbanization may be driving them away from their traditional habitats. 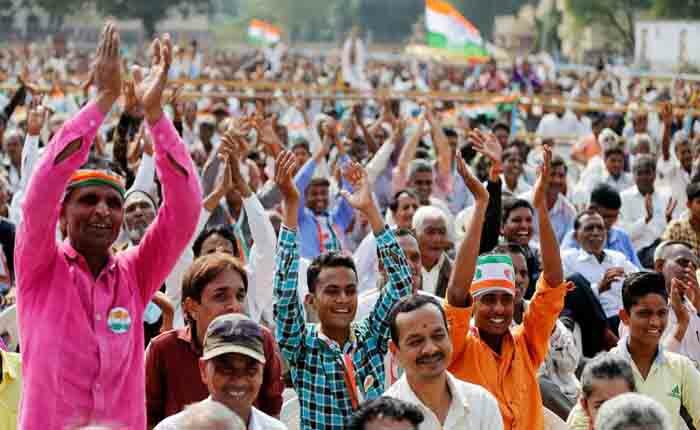 Tour Operators in Gujarat are relaxed because casting a ballot in Gujarat is held in the initial phase of the one-and-a-half month long polling schedule. Had the casting a ballot in the state planned in May, vacationer surge would have been antagonistically influenced they said. However, casting a ballot plan for vacationer goals like Himachal Pradesh, Uttarakhand, Uttar Pradesh and even Sikkim will shrivel sightseeing plans, said nearby tour operators. Appointments for Jammu and Kashmir, a major summer destination, have been hit due to pressures along the Pakistan border. "Casting a ballot in Gujarat is scheduled on April 23. School and college vacation begin around April 20. So departures from Gujarat are not influenced much. On the off chance that casting a ballot was in May, at that point appointments would have seriously hit," said Manish Sharma, originator and executive of Axar Travels. However, long polling schedule, spread across seven stages is a matter of concern, said Anuj Pathak, secretary of Tour Operators and Travel Agents Association of Gujarat said that casting a ballot plan for summer visitor destination will influence itinerary of tourists. "We need to factor in the casting a ballot dates while arranging visits for customers. There are chances that political encourages, roadshows and other political occasions can influence their movement. This could diminish the movement long periods of visitors," said Pathak. Recent terror attacks in Jammu and Kashmir, as well as border strains with Pakistan, has additionally influenced traveller outpouring toward the northern goals, opined Ajay Modi, proprietor of Ajay Modi Travels. He is miserable about the effect on visitor inflows in Jammu and Kashmir. "Pulwama and Balakot assaults have made travellers careful about going to Jammu and Kashmir, otherwise unparallel destination for summer. Recently travel industry authorities from the state were in the city to woo sightseers, but the very next day, there was a bomb blast in Banihal. While the situation isn't as serious as projected, travellers don't want to visit such places. Kashmir will be seriously affected," said Modi. Unexpectedly, winter tourism in the state was additionally influenced because of floods. Modi said that border tensions may likewise influence vacationer�s outflows to Sikkim, which shares a border with China. For the past ten years, people living in the hills have been facing erratic bus service. This is because the Uttarakhand Transport Corporation suspended its service in 32 hill areas in 2009. Due to the absence of government buses, private buses are plying on these routes, but people say that their frequency is low, forcing them to opt for expensive taxis. 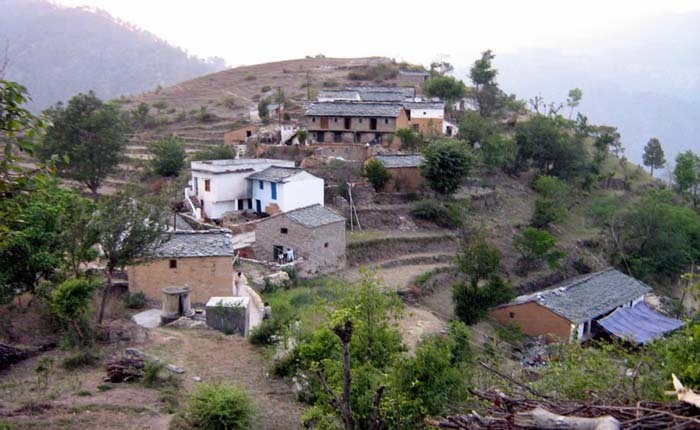 The transport department had stopped its service, mostly in Kumaon division, citing loss and �low passenger count�. With polls only a week away, the residents are also blaming the political leaders for �selectively ignoring the matter�. Many locals had gathered in Haldwani last year to protest against this issue, but since then no action was taken. Mahavir Bisht, a resident who takes the Nainital-Pahadpani route to reach his work place, says that he spends 10 times more than a bus fare on a taxi nowadays. He said that none of the political leaders have come up with a solution. 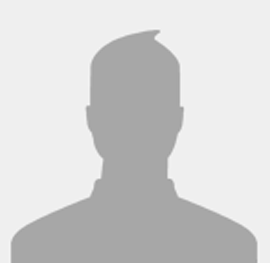 �I take a private taxi that costs at least 10 times more than a bus fare. The transport department had stopped their service at Pahadpani route in 2009. For a decade, we have been facing difficulty as less number of private buses are running. So far, no political party has even tried to address the problem,� Bisht said. Meanwhile, Congress leader Harish Rawat who is contesting from Nainital said that the private buses are operating in these routes without permission and sought an inquiry in to the matter. �This issue reeks of corruption. Instead of government buses, the private buses are running without permission. Inquiry should be initiated into the matter,� Rawat said. Among the routes where public bus service is suspended include: Bareily to Gairsain, Ranikhet to Jhoolaghat, Almora to Gwaaldam, Haldwani to Gangolighat, Almora to Chalnichhena, Haldwani to Jaintijaamad, Almora to Champawat, Haldwani to Maasi Jalli, Nainital to Bhowali, Haldwani to Mukteshwar, Hladwani to Mauna Lveshaal, Haldwani-Khansyu Patlot, Haldwnai-Bhanauli, Haldwani to Dholigaanv, Haldwani to Bheedapaani, Nainital to Patwadangar and Nainital to Chaafi. 15 hectares of forest land have been gutted in 11 incidents of forest fires recorded in the hill state in nearly two months. The forest fire season started in mid-February and will last till June. With four incidents, forests in Haridwar witnessed the maximum number of fires. 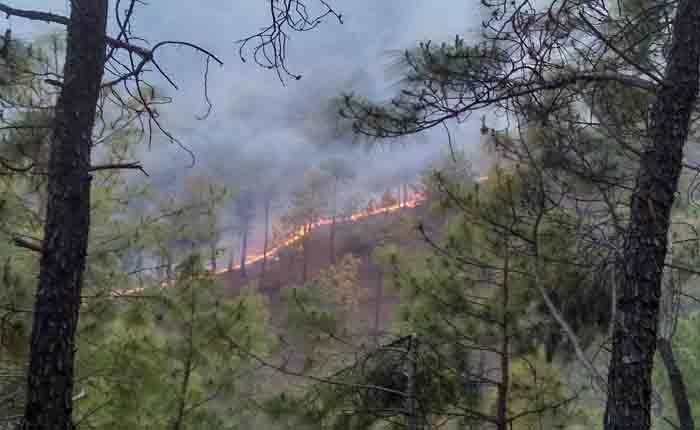 While the economic loss by the forest fires has been calculated at Rs 26,475 there were no reports of animals or trees being harmed, said the forest department. The forest department has 40 control rooms and one Information Technology and Geoinformation Cell (ITGC) in Dehradun which manages 1,437 crew stations and 174 watch towers across the hill state.